This project aims to control various electronic components using wireless technology (in this case blue-tooth). This project aims to control the blinking of a LED using wireless technology. This will serve as a base to build more amazing projects on home automation and many more automation projects that are coming very soon. Step 1: Connect and a LED to any Arduino board with the help of jumper wires. 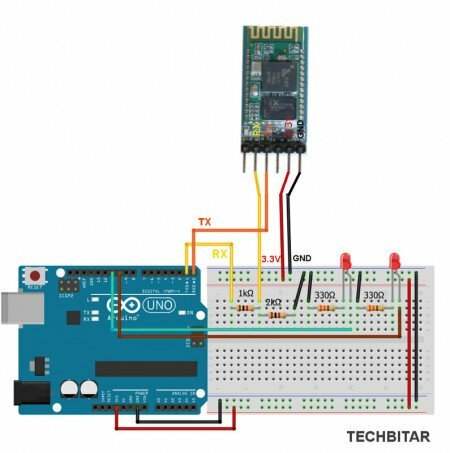 Step 2: Connect the blue-tooth module (HC-05) to the Arduino with the help of jumper wires. 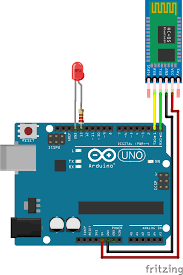 Except the first and the last pin, all other pins need to be connected to the Arduino. Ground of HC-05 to Ground of Arduino. Power of HC-05 to 3.3V of Arduino. Tx of HC-05 to Rx of Arduino. Rx of HC-05 to Tx of Arduino. I am student of electronics and telecommunication engineering. I am very much fond of electronics and it's applications.